In a mixer stir together flours, sugar, baking powder, corn starch and salt. Mix in peanut butter and oil. Pour in almond milk and vanilla. 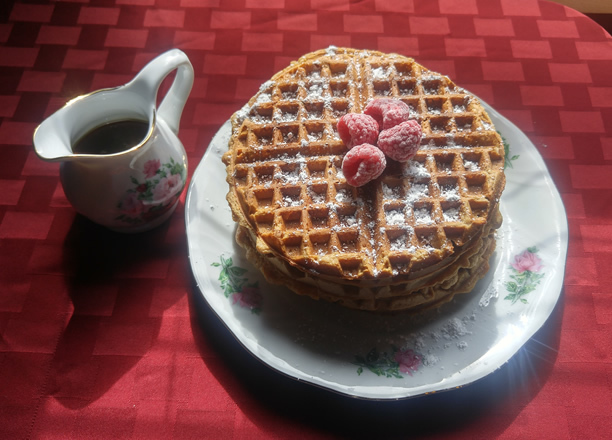 Using batter, complete following your waffle makers instructions.